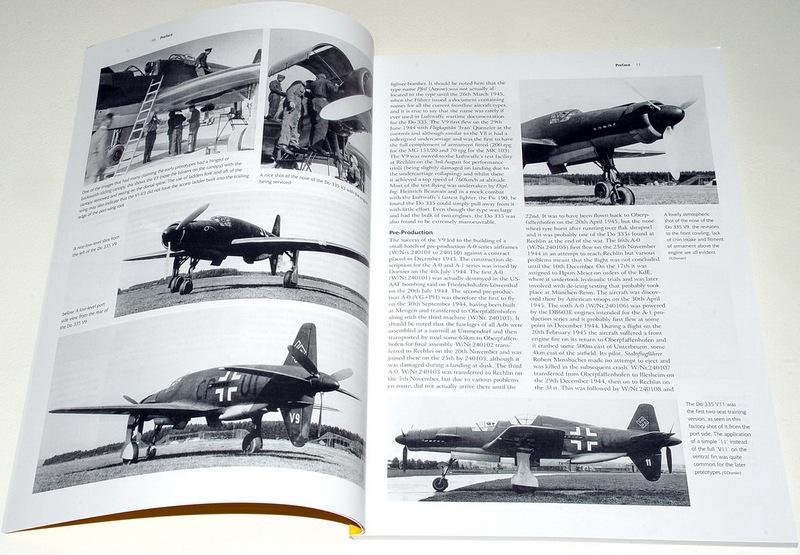 Valiant Wings Publishing had released Number 9 in their “Airframe & Miniature” series in 2016, entitled "The Dornier Do 335 Pfeil: A Complete Guide to The Luftwaffe's Fastest Piston-engine Fighter". The author is Richard Franks, and the illustrations are shared between Richard Caruana and Wojciech Sankowski. This title is being expanded and updated in this 2nd edition (end of 2018). 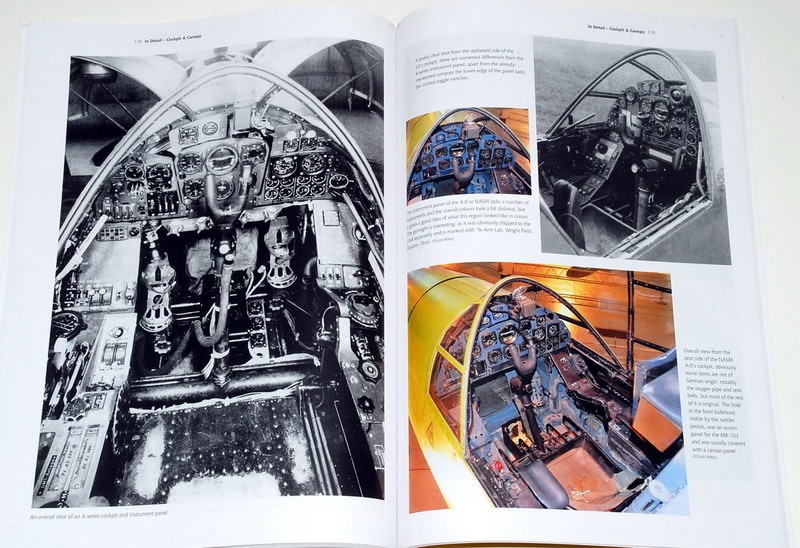 You can read more about the 1st edition here. 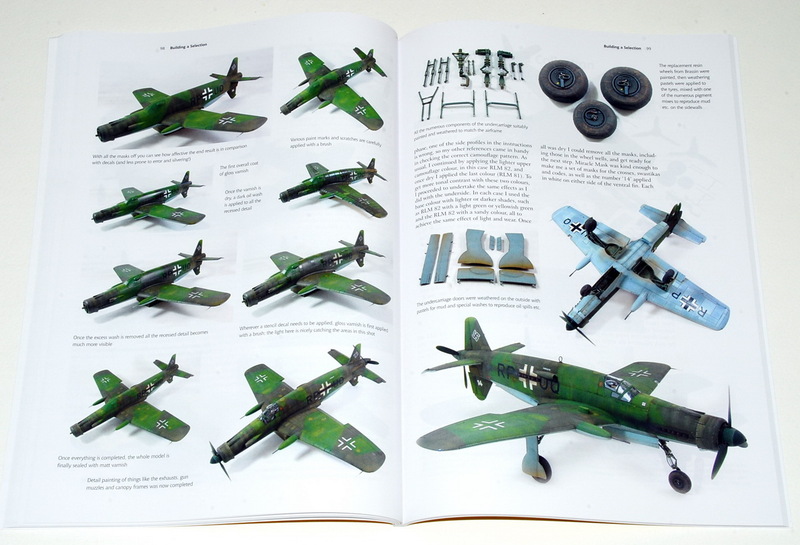 Specially commissioned extensive full kit builds by Libor Jekl, Steve Evans and Dani Zamarbide of the 1/72nd scale Revell (ex-Dragon) Do 335A-1, 1/48th scale Tamiya Do 335A-12, 1/32nd scale HK Models Do 335B-2 and an additional build of the 1/32nd scale Zoukei-Mura Do 335 A-12. 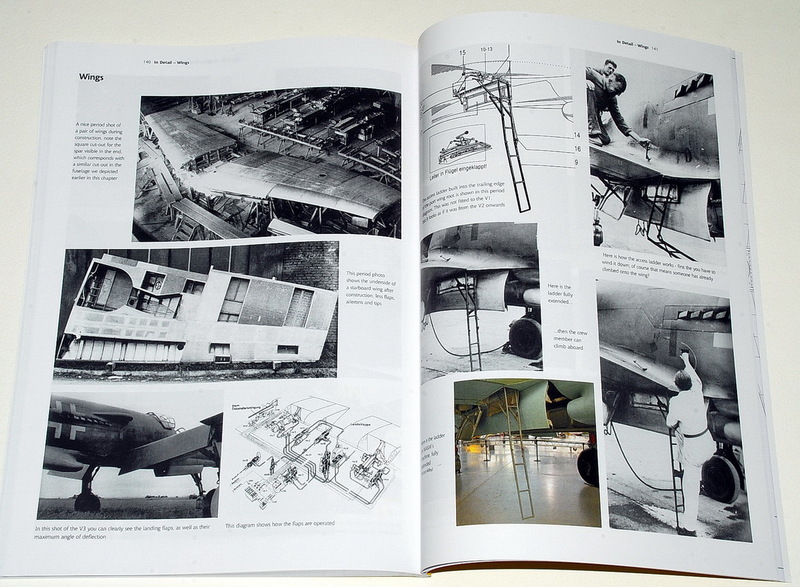 The book is heavy at 160 pages plus a gatefold section of scale drawings. 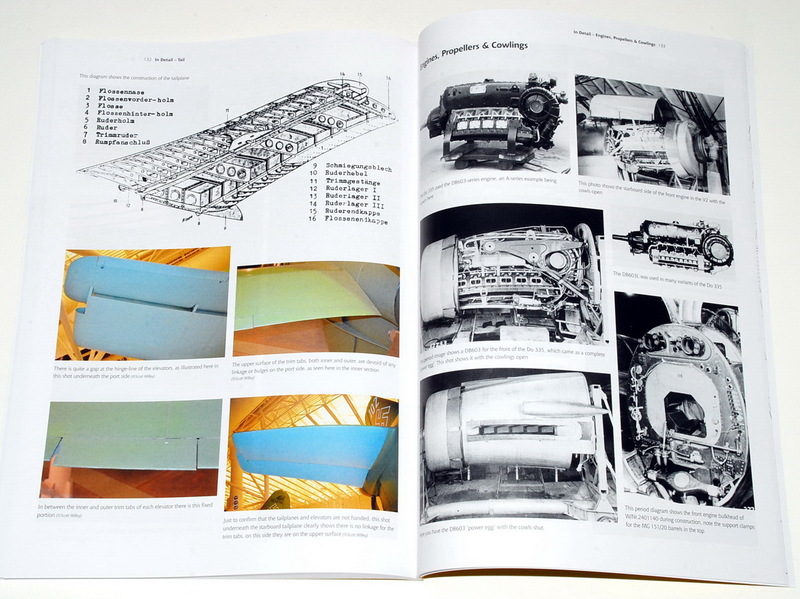 It's extremely well printed on quality glossy paper, with quality sewn binding and the reproduction of all drawings and photographs is first-class. 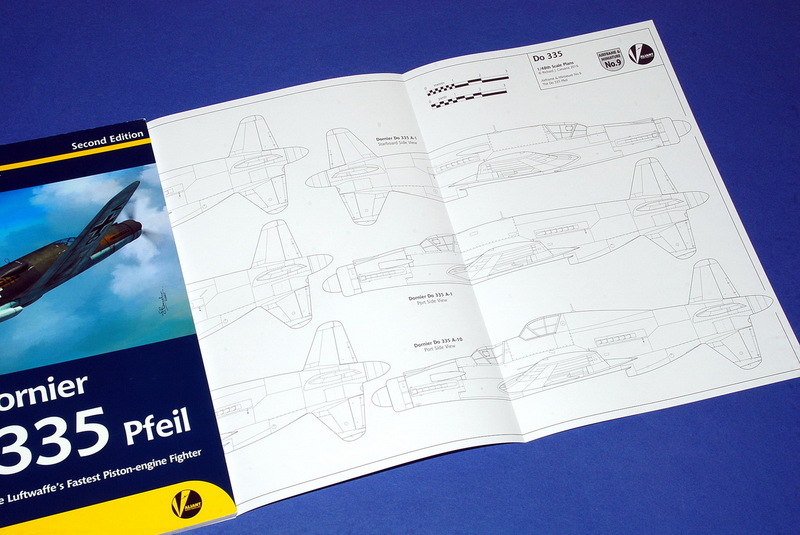 It includes a set of 1/48 scale plans on the inside back cover, presenting a number of variants of the type. 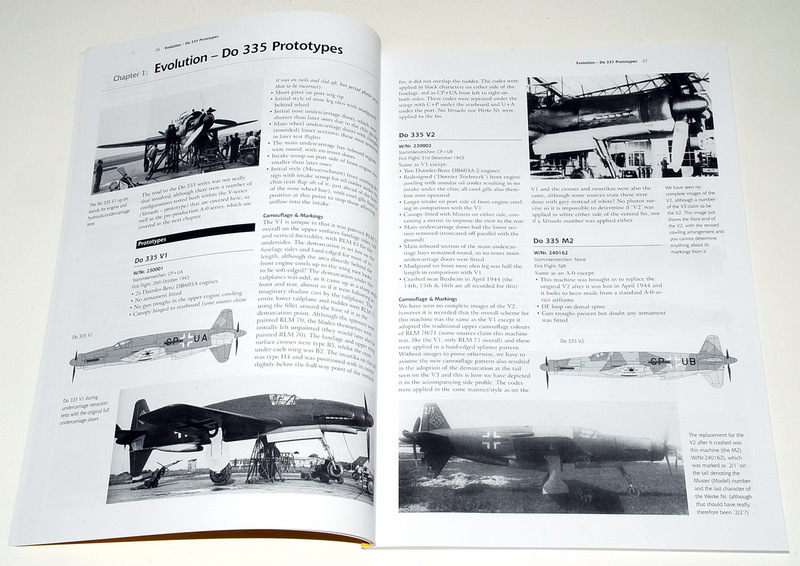 The Preface gives us a concise history of the type (21 pages - or 6 more pages than the 1st edition), its development, and information about the projected variants that never left the drawing board. 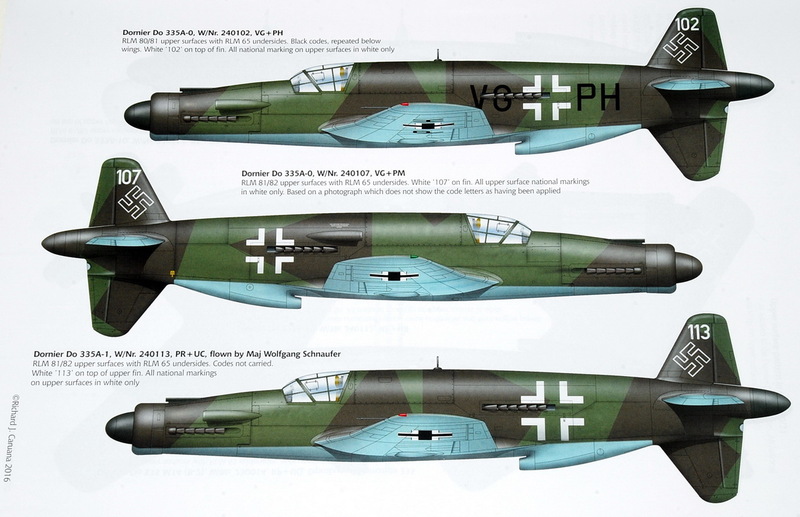 In the airframe section the whole evolution of the Do335 is covered, prototypes, A-Series (single-seat), B-Series (twin-seat), projects, drawing board designs, with an extensive section on camouflage and markings. Here you'll find several pages of very well drawn profiles by Richard Caruana. 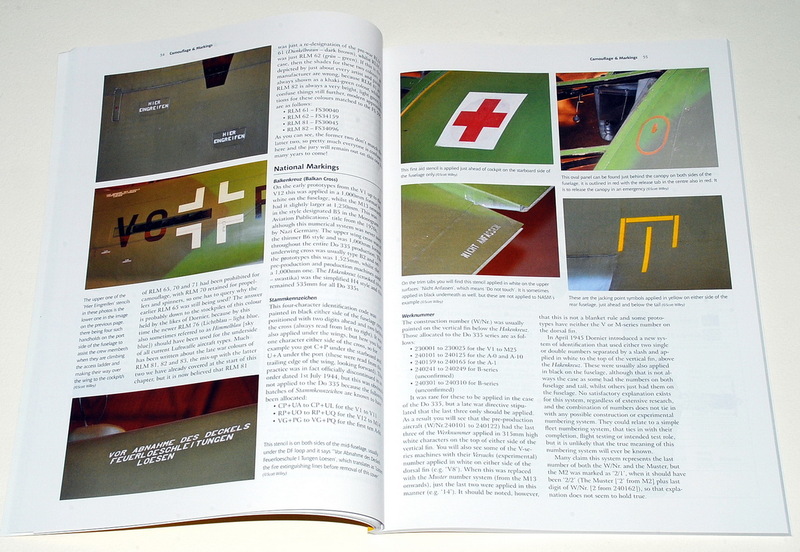 This section also contains information on the various RLM colors used. 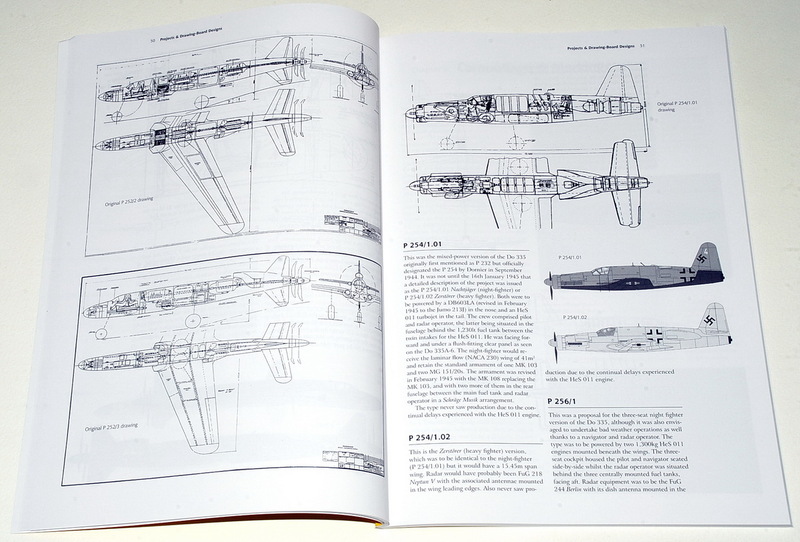 We are also provided with many drawings of these aircraft. Many useful period & action b/w photographs provide a lot of detailed information. 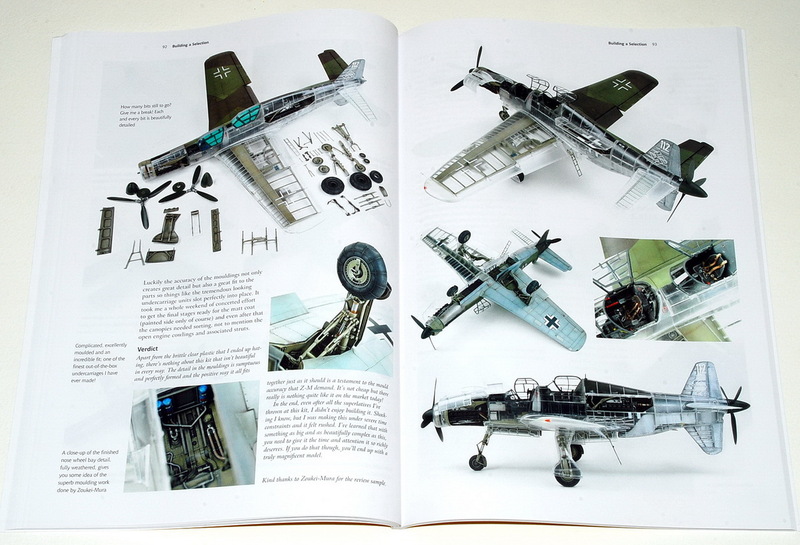 The Miniature section is very interesting to all modellers, as it details almost all the available kits, and goes on to build a selection from different manufacturers and in different scales with the models built by quite well-known names. 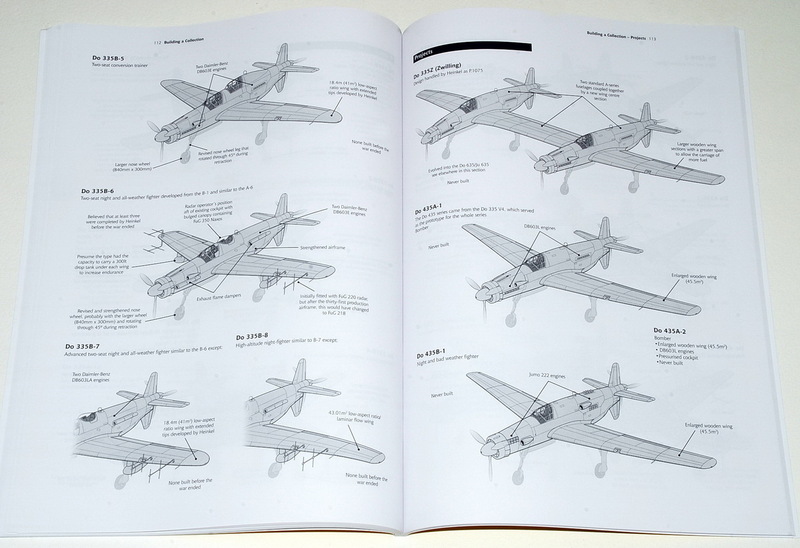 Almost every Do335 in kit form is covered and reviewed very well. 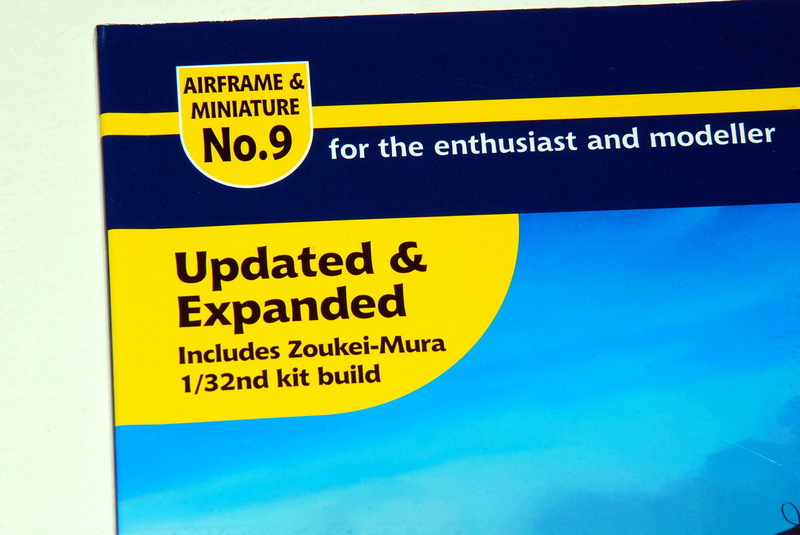 Both Zoukei-Mura’s 1/32nd scale kits are now fully covered, including a 3-page in-depth review and a 15-page, step-by-step build of the Do335A-12 twin-seat trainer version of the 1/32nd scale ZM kit by Steve Evans. Steve used the questionable and dubious (to say the least…) clear plastic parts to show the internal detail of the half, unpainted side, of the model, although he (justifiably) ended up hating them because they are so brittle and difficult to work with! A bad choice indeed: The half, “clear” plastic covered side of the completed model is, not only unrealistic, but being far from clear and more of a frosted semi-transparent plastic, it reveals very little of the -anywise insufficient- internal detail. 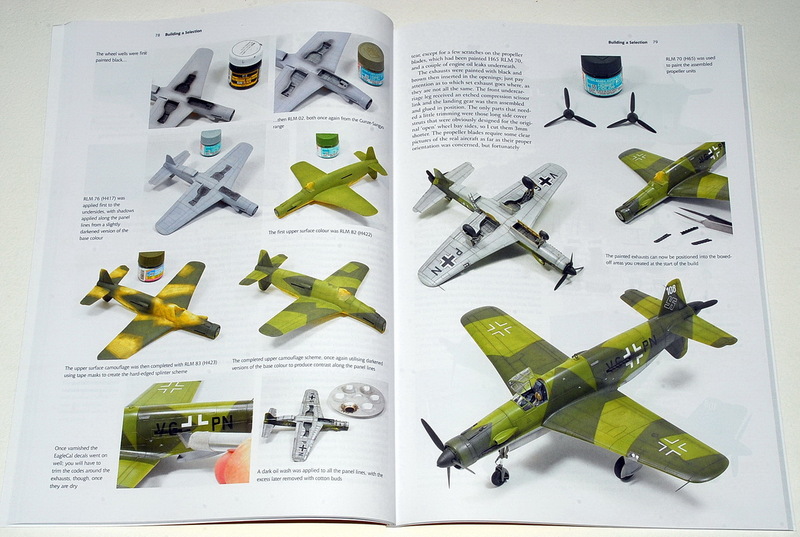 A far better and realistic choice would be a fully painted/camouflaged model and we thank him for actually proving this (saving the rest of us…). 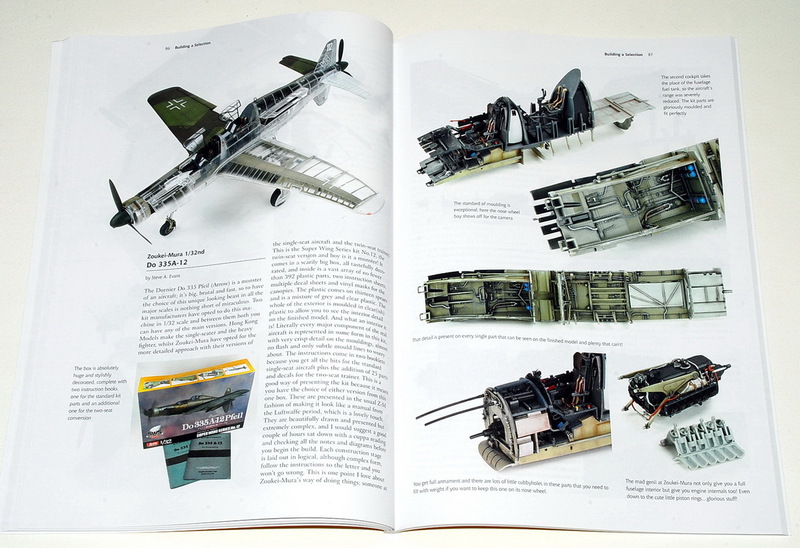 The modelling pages are followed by a section that has 42 isometric 3D drawings of all the prototypes and the differences between the different batches. Each drawing is accompanied by extensive caption/text. 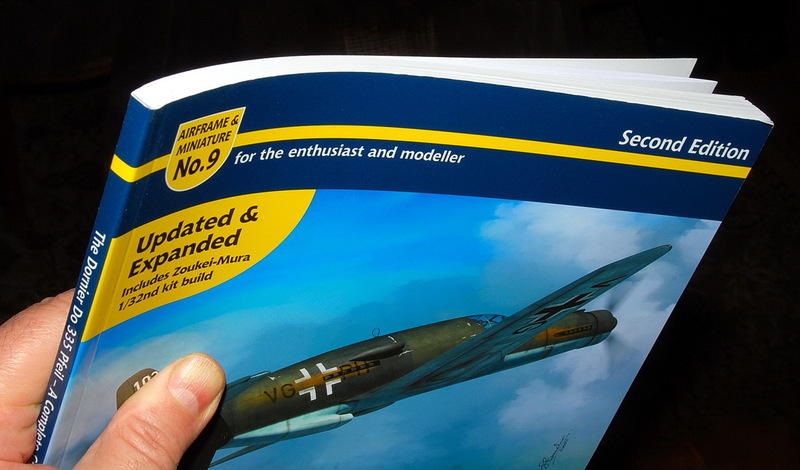 Something a dedicated modeler will find to be of considerable value. The very last section is an 'In detail' section. This is a combination of both period images and those of the extant aircraft in the Smithsonian collection. 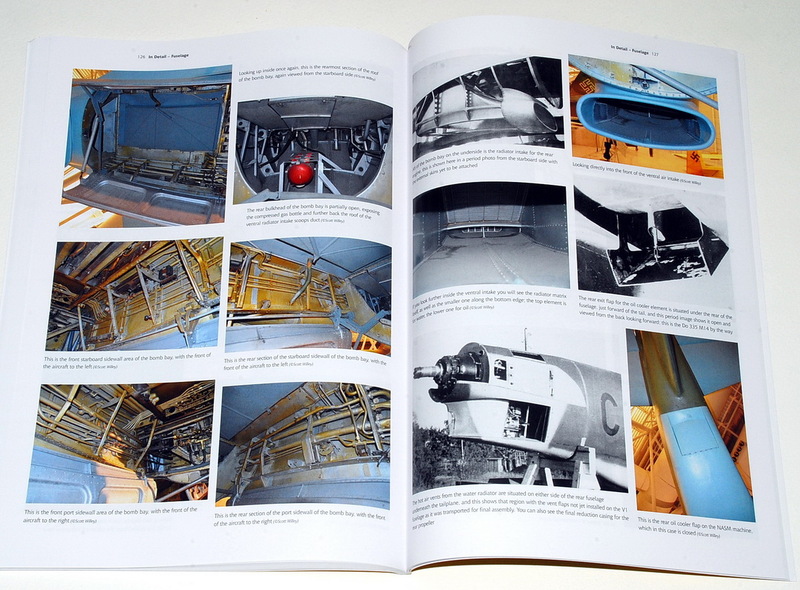 Many of these photos are in full colour (cockpit interior, engine, bomb bay, etc). 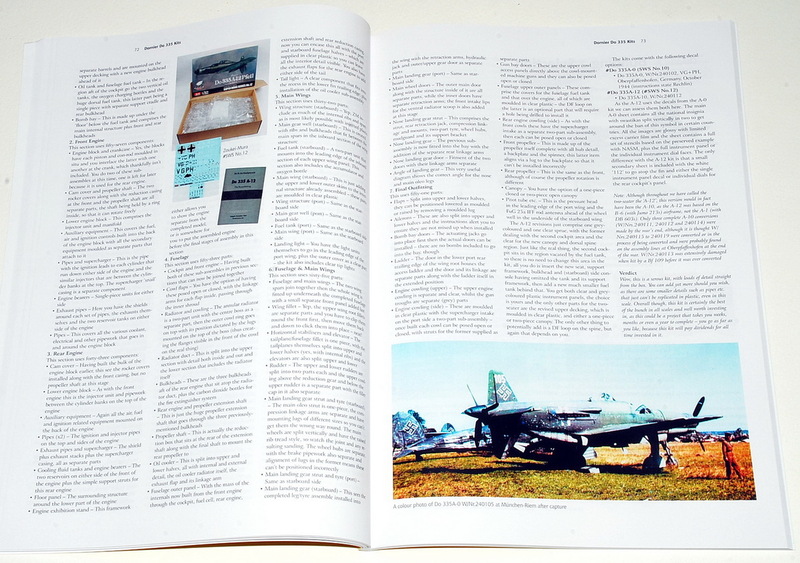 This is followed by appendices listing and showing photos of many of the various modelling accessories dedicated to the Do-335. 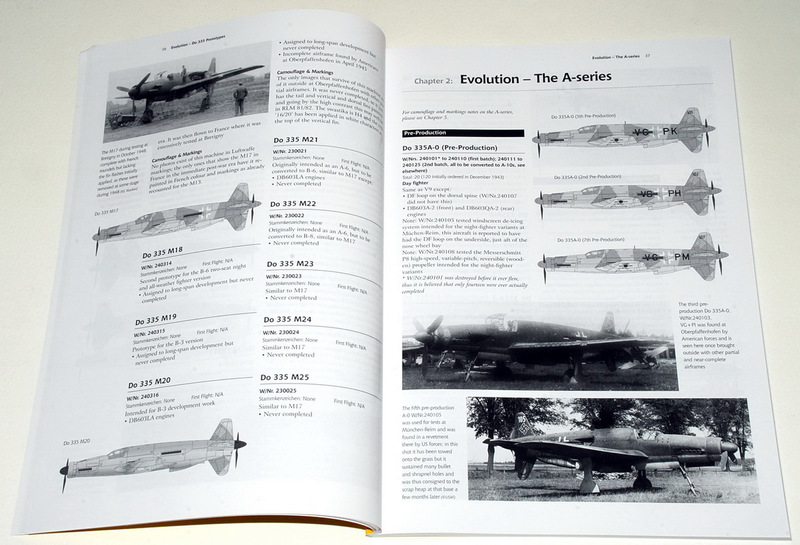 A kit listing with all variations is next followed by a list of books associated to the aircraft. 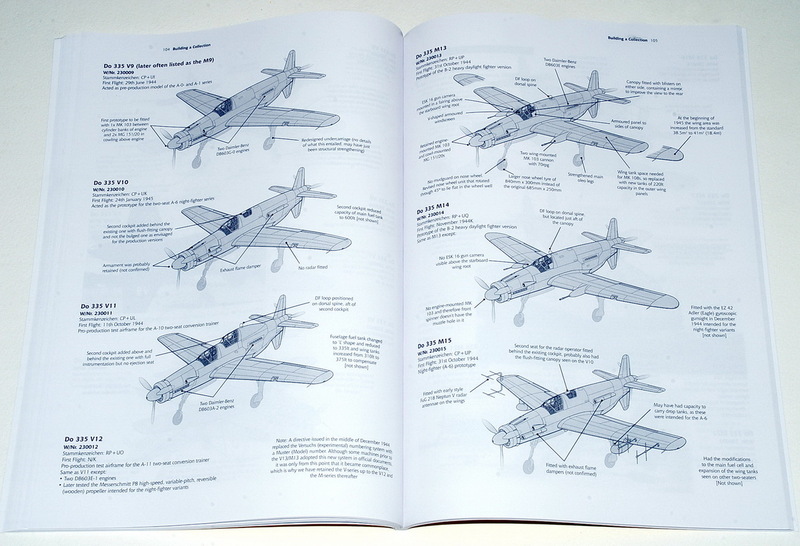 This is followed by a huge fold out that offers detailed 3-view plans of the aircraft in 1/48 scale. 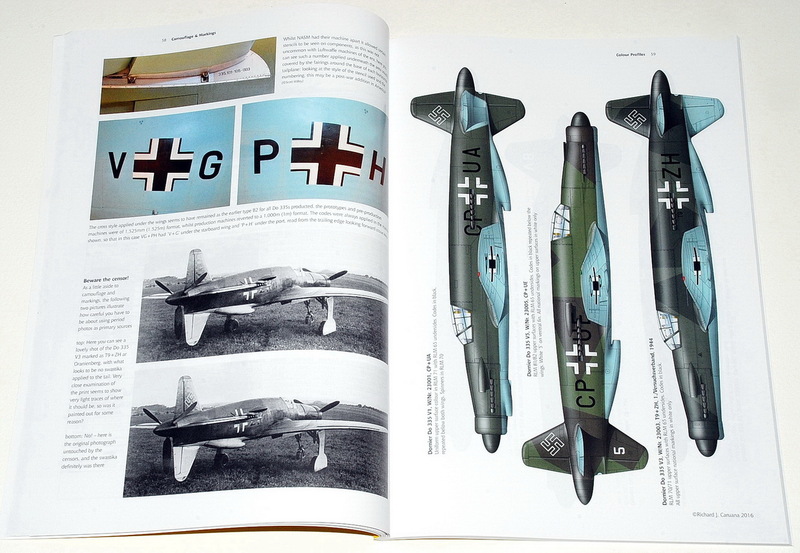 All in all, the 2nd edition of “The Dornier Do335” is an excellent addition to anyone's library and makes for a superb book that should appeal to both the enthusiast as well as the modeller - and quite a good read. It is a great effort and well worth the cover price. 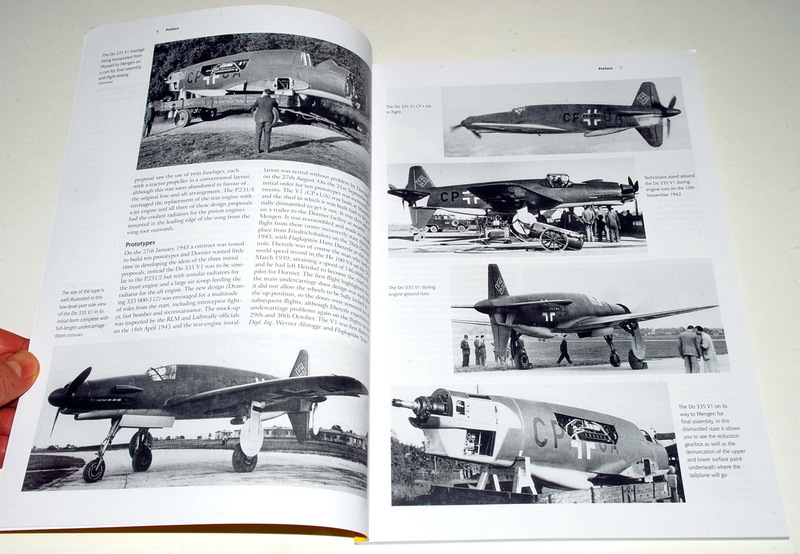 A really useful book of an impressive aircraft of the Luftwaffe. 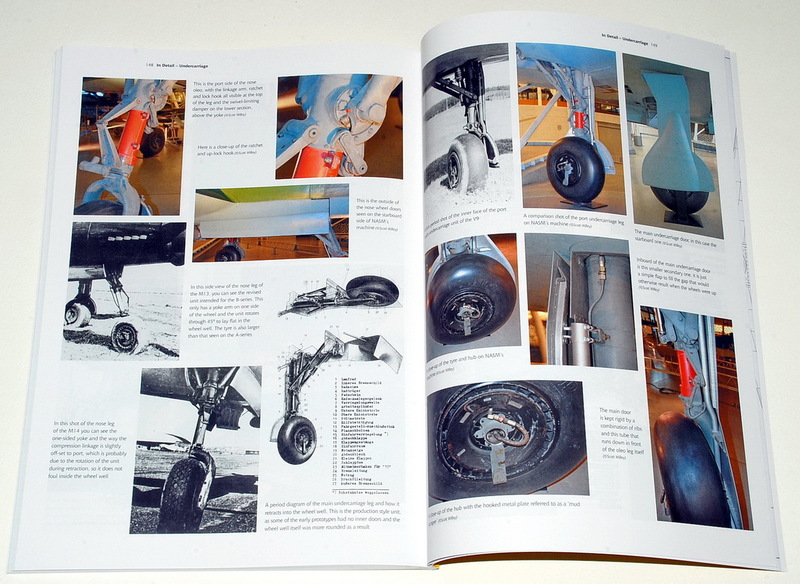 There is a lot of detail within the pages that will be a perfect one-stop reference guide to the modeller, as well as the more general aviation enthusiast. 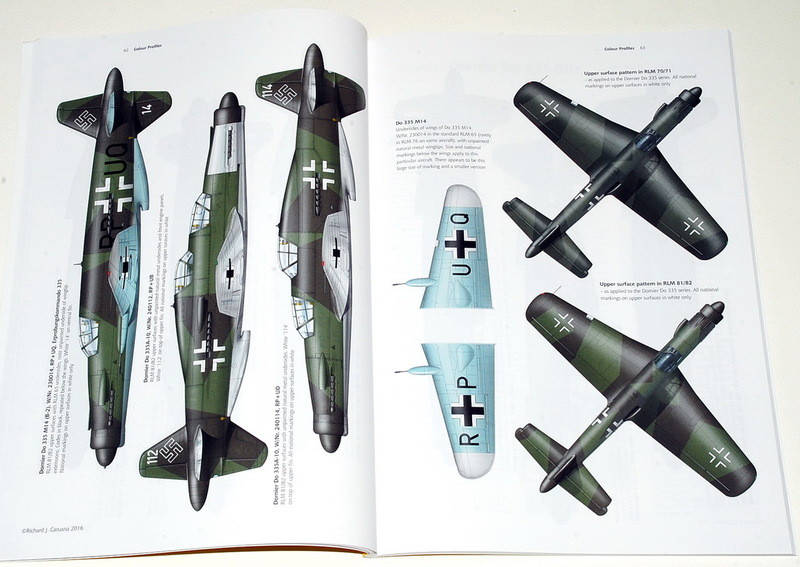 If you need to buy just one book for modelling reference on the Do335, then this is it! 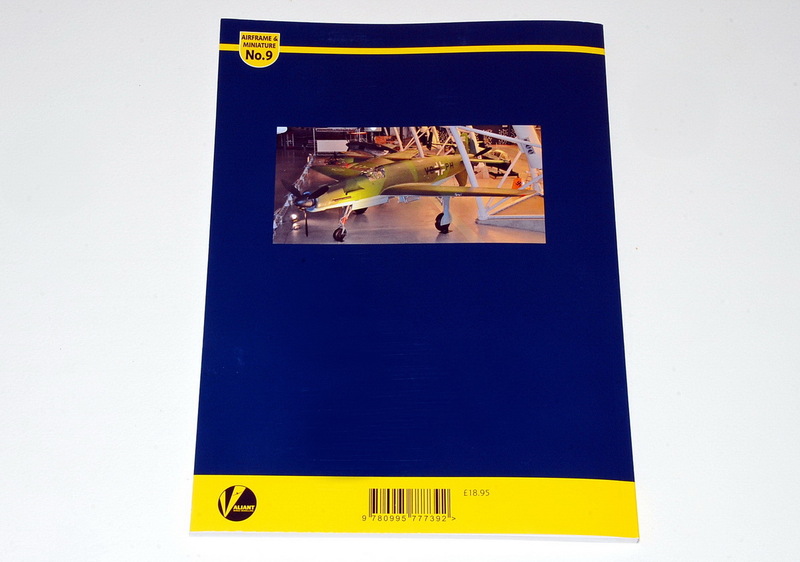 ISBN is 978-0-9957773-9-2. 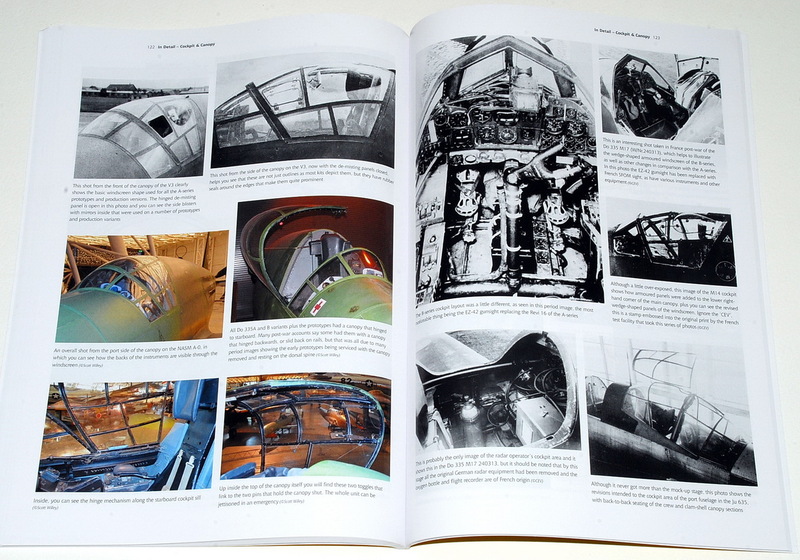 RRP remains £18.95 per copy + postage and packing, which is indeed a great value. 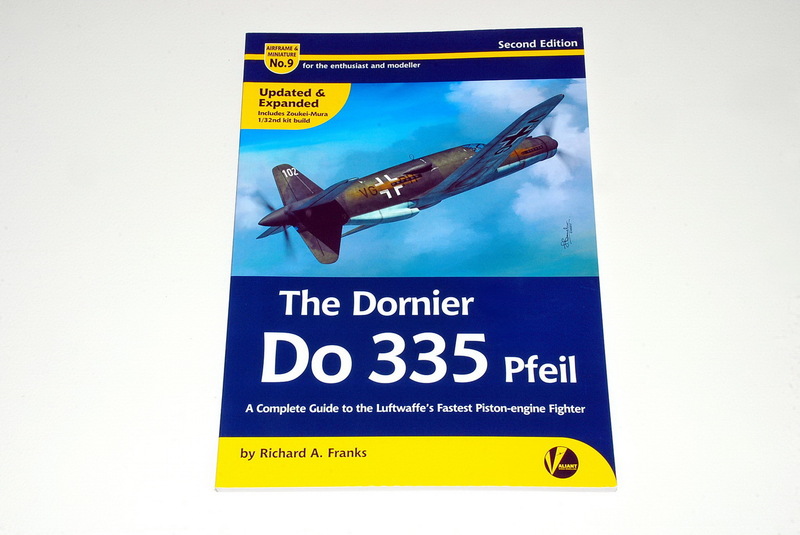 The Dornier Do 335 Pfeil by Richard A. Franks is also available from all good specialist bookshops and certain hobby retailers. 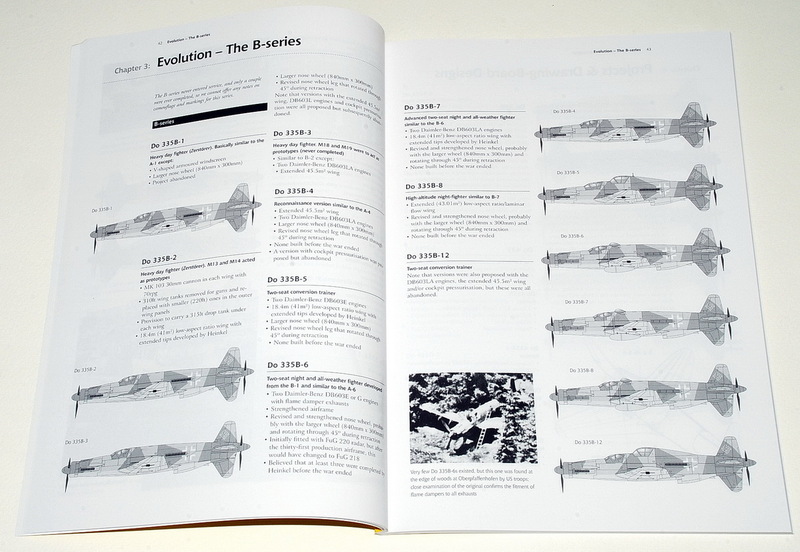 The first edition sold out very quickly, so this 2nd updated & expanded edition is bound to be extremely popular amongst Luftwaffe fans!